Truth is a polemic, the title is ironic as it tries to justify shoddy journalism. 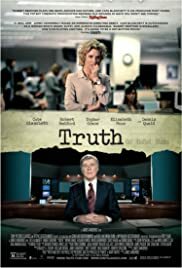 In the year 2000, the producer for 60 minutes Mary Mapes (Cate Blanchett) wanted to investigate whether any strings were pulled for George W Bush to evade doing combat in Vietnam and instead got himself a nice number with the National Guard where he rarely showed up for duty and got extended period of leave. However because of personal circumstances she could not go much further. In the run up to the 2004 elections by which time Bush is President and assembled a formidable dirty tricks brigade, Mapes who was an award winning producer was hit by a sucker punch which owed more to her stupidity and arrogance. Mapes was given some photocopies of memos that confirm Bush was rarely in attendance at his National Guard unit. 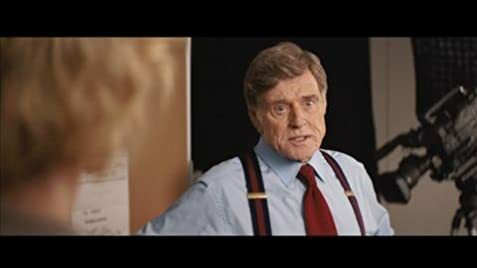 Time factors meant that fact checking was erroneous and Mapes and presenter Dan Rather (Robert Redford) ran with the story. The memos were forgeries and some serious players were apparently behind it although maybe the newsroom needed some old timers who could remember whether typewriters in the 1970s could type a certain raised font. CBS put together an independent panel to investigate Mapes and her team but we are presented to view them as a kangaroo court. The film really ties itself in knots to justify sloppy journalism and laments the course of television news in America. However this is no 'All the President's Men.' The film was mainly shot in Australia and this harms the film with a lack of location shooting in the USA. 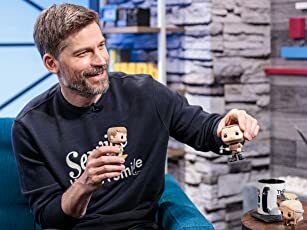 I also think it needed a more experienced director to handle the material better as it gets lost in the second half when it becomes plodding and loses sharpness. As for television news in America, like the UK and other countries it has become lazy or maybe in the age of the internet we can gather news from various sources ourselves and like an old black and white puppet movie, we can see the strings being pulled. Truth wants to justify that the 60 Minutes team were prepared to ask difficult questions. The team could not answer why they did such poor fact checking when investigating a sitting President who was by then involved in two wars in Iraq and Afghanistan and some elements of the American public were in no mood to rock the boat.